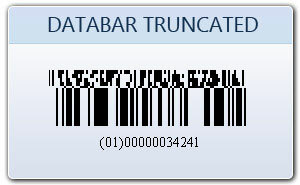 Data bar Truncated barcode encodes GTIN-12 OR GTIN-13 numbers in 14 digits data structure. This barcode symbology is used for small item identification. 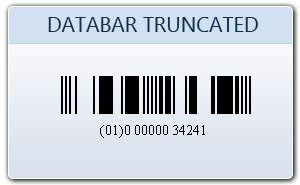 Data bar truncated is capable to encode 14 digits data value. In databar truncated code the first digit is linkage flag and the remaining 13 digits are data characters. 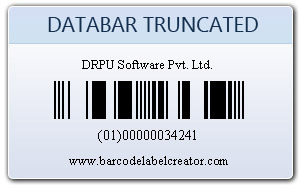 With bar coding system you can easily create customized bar codes labels/stickers/coupons using sequential, constant value and random series generating mechanisms.